Together with the Compact range, ARRISUN lamps are workhorses of location lighting; whenever punch or bounce light is required on set, an ARRISUN provides the ultimate answer. For the first time the precise interaction of lamp, reflector and converter lens was computer simulated during the design process, resulting in unmatched light performance. 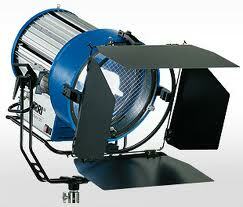 A wide range of converter lenses ensures maximum beam control in all situations.